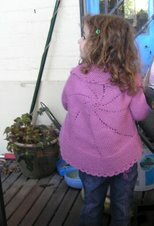 As I am still knitting down the lowtide cardigan body and will be for quite a while yet, I thought I would change the subject. I have a simple lunch usually. Beans on toast, a cheese sandwich, or perhaps a tiny can of tuna or another sandwich. That and a piece of fruit is enough. I was getting bored and wanted a change. So I turned to the blessed Hugh * for some ideas. Well, there was an idea I have meant to try before. Homemade tortillas. Page 133 from memory in the River Cottage Handbook #3, Bread. It looked easy enough. Into the mixer bowl went 250 gm of plain white flour, 150 ml water and 5 gm of salt. Actually I had to add more water to cope with our hard flours. The roti recipe was similar but used wholemeal flour. Mix till everything comes together in a lump. Cover and leave for about 30 minutes to allow the gluten to develop to make the dough stretchy. 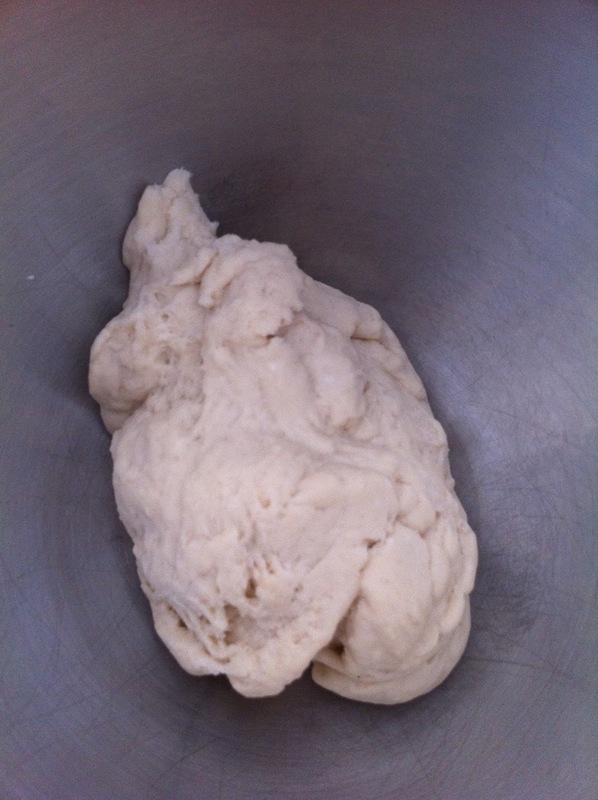 Take dough from bowl and divide into rolls. Flour rolling surface well, I have a marble bench top. 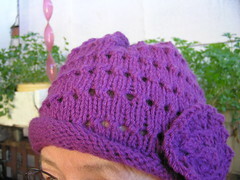 Roll out each ball, trying to keep shape circular and as thin as possible. While rolling out, heat a large frying pan on medium to low heat. No oil or butter. Put one piece in saucepan and cook for 30 seconds. I suspect that Hugh uses the stovetop of his big Aga or similar. When I had an Vulcan Everhot slow combustion stove, I would do pikelets on the top plate. My pan was not really quite hot enough so first side did not cook well. Then again, the first pancake or pikelet is always not quite right. I turned heat up and cooked for about 40 seconds. Turn over and do same for other side. 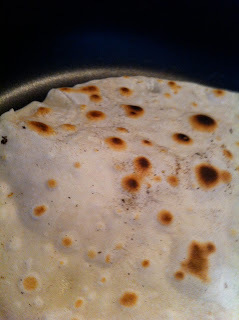 The flatbread will puff up and will also brown across the tortilla. As each is cooked, put it in a clean teatowel and cover to keep steam in. I had leftover pumpkin baked with fresh rosemary for a pumpkin and haloumi salad the night before. I put a bit of my homemade beetroot and eggplant chutney on a tortilla, some rocket and some of the pumpkin. Roll it all up and there was a different, healthy lunch. A glass of water, two small nectarines and a pear and lunch was good. These are quick, tasty, cheap. Ideal for a family. Perhaps a school holiday lunch cooking session? If used for that, it would be good to have filling prepared already as young cooks will want to taste their wares quickly. *Hugh Fearnley-Whittingstall from the River Cottage. Books and TV shows with a "feel good" flavour to them. You reminded me that I made flat bread once and that it was easy. They look great!! Yes, I see that on his shows a lot, the pan heats up in two seconds!!! I invited a friend for lunch yesterday and was going to serve fresh bread rolls from the bakery but changed my mind and bought Parmesan and Onion wraps instead. What a lovely change from the sliced bread I eat nearly every day!